8dB Equalisation for compensating cable loss over extended runs up to around 20 Metres long. If put mid-way, you can achieve lengths of 40M. Not cascadeable due to eq. Reduce noise and Sparkles from HDTV picture quality UXGA 1080p max resolution. 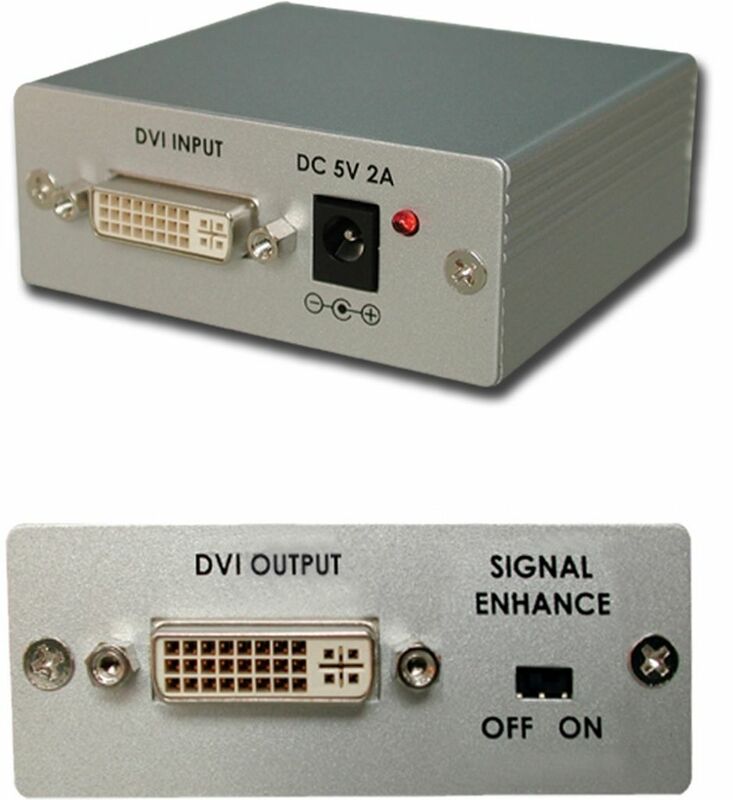 DDC & HDCP Pass-Thru. Includes 5V power pack or powered from cable. All DVI Female Sockets.